The purpose of this help article is to show you the key features of the RadExpander control. RadExpander provides an expandable container which can host any content. You can show or hide this content by interacting with the Header of the control. The default state of RadExpander is collapsed. You could use IsExpanded Boolean property to switch the current state of the control. You could either apply HeaderText property or use the ExpanderHeader content control which provides a set of useful properties for customizing the way the header looks. For more details refer to ExpanderHeader control topic. To enable or disable the animation you need to use the IsAnimationEnabled property of RadExpander. By default, the Animation is enabled. You could also customize the duration and easing (acceleration over time) through AnimationDuration(in ms) and AnimationEasing (of type Xamarin.Forms.Easing) properties. 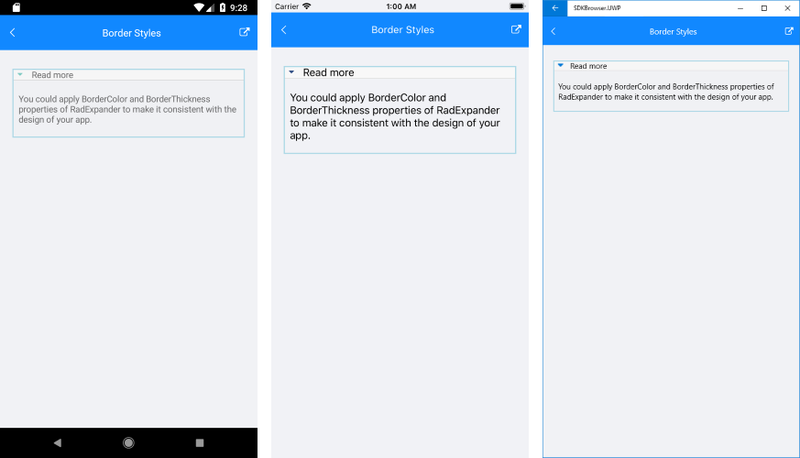 You could apply BorderColor and BorderThickness properties of RadExpander to make it consistent with the design of your app. 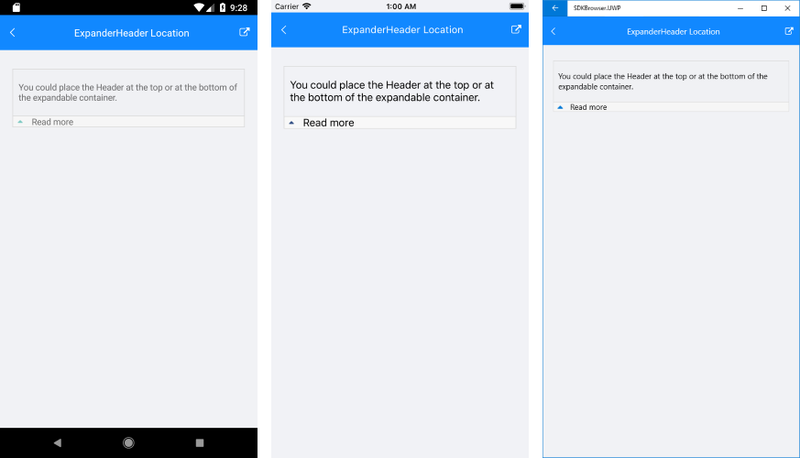 ExpanderHeader also provides Border styling properties, you could learn more about this here.